When a first lady is crossed by an aide, she usually gets results when it comes time to oust that person. Michelle Obama did it. Hillary Clinton did it. But rather than working behind the scenes, Mrs. Trump had her own way of getting her point across. “It is the position of the Office of the First Lady that she no longer deserves the honor of serving in this White House,” Stephanie Grisham, the communications director for Mrs. Trump, said in a forceful statement on Tuesday about Ms. Ricardel. Mrs. Trump, like President Trump, has used the power of her office to publicly assail those who have irked her, like publicly torching her husband’s talkative first wife, Ivana, and targeting Ms. Ricardel, who had gained a reputation throughout the White House for her sharp elbows. Hours after the East Wing’s statement on Tuesday, aides on the National Security Council, seeking to defend Ms. Ricardel, issued a series of talking points about her time there. Among the information distributed was that Ms. Ricardel had been confirmed by the Senate last year as under secretary for export administration. Before she served in the administration, she was a consultant for Trump for America. Aides also pointed out that she was one of the highest-ranking female members of the administration, and that she had never met Mrs. Trump. 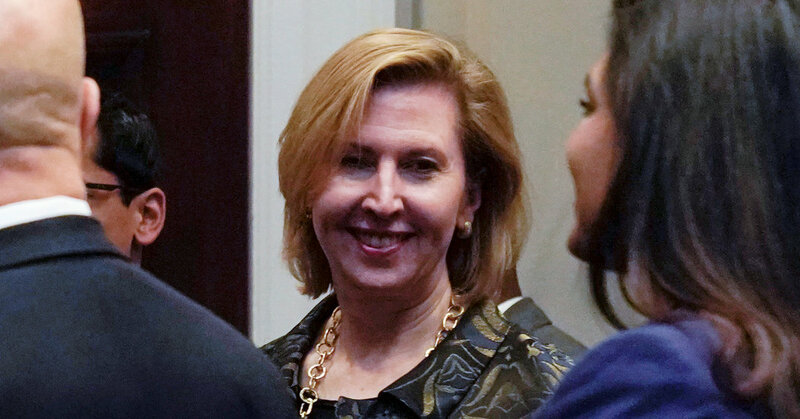 Ms. Ricardel also withheld resources from the first lady before she traveled to Ghana, Kenya, Malawi and Egypt last month, according to those people, who spoke on the condition of anonymity. Before and during the trip, Mrs. Trump’s senior staff members operated without logistical information, readily available policy documents or basic communication as they arrived in places where security could be tight and tense, and the movements hectic. They said Ms. Ricardel was the reason for the delay. The episode so incensed Mrs. Trump that she brought up those infractions and others — including her belief that Ms. Ricardel was spreading negative stories about her and her staff — to John F. Kelly, Mr. Trump’s chief of staff. Complaints from Mrs. Trump and her aides made their way to the national security adviser, John R. Bolton, but the tension continued unaddressed until this week, when Mrs. Trump’s office all but called for Ms. Ricardel’s removal. The White House and the National Security Council did not answer questions on Wednesday about Ms. Ricardel’s reassignment. Four administration officials said they were unclear about her next move and speculated among themselves about where an aide who had made few allies during her time at the White House might land. Mr. Trump was initially not happy to learn of the rogue statement issued by the first lady’s office, according to a senior administration official familiar with the president’s reaction. But he eventually came around.